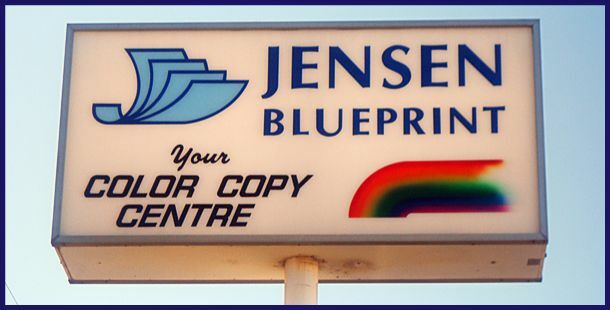 Jensen Blueprint Repro Ltd. has been an industry leader in wide format copying, photographic prints and blueprint reproduction services since 1995. With our state-of-the-art scan and print equipment, we are able to reproduce thousands of wide format copies, on the same day. Not only are we the place for plans printing in Edmonton, we also do copy pick-ups and deliveries. Photocopying Done Right – Guaranteed! When it comes to color photocopies and wide and oversized poster printouts, Jensen Blueprint follows your specifications to the last detail. This means no second-guesses with scaling, paper weight, sheen, size or numerous other characteristics that typical copy shops skip over. We can digitize your old or new documents into a variety of formats. With our top-of-the-line scanners we can produce high resolution files in color and black and white for easy archiving. This can save you a lot of time and office space. Are you in need ofplans printing in Edmontonor the surrounding areas? Jensen Blueprint Repro Ltd places an emphasis on quality and fast turnaround times. Get started by giving us a call at 780-438-1897 and be sure to ask about our copy pick-ups and deliveries. Whether you’re busy on the job site or in your office, we can pick-up and deliver your photocopies, architectural drawings, blueprints and any other project with time or travel constraints. Architects, engineers, contractors and enterprising businesses count on Jensen Blueprint Repro to fulfill their CADD plot, print and copy needs. Our mission is to provide plans printing that helps your business run as effectively and efficiently as possible. Our mission is to be the business that helps your business run as effectively and efficiently as possible. Call us today to schedule a copy pick-up and delivery! Your report or presentation may have the muscles, but a spine allows it to stand up to the competition. Jensen Blueprint Repro offers bindery services that will enhance the appearance and extend the longevity of your print documents. Whether it’s a large poster print or digital file, Jensen Blueprint Repro can transfer it to laminate or foam core for long-lasting durability. Jensen Blueprint Repro will get it done correctly and on time—we guarantee it! Jensen Blueprint Repro Ltd is proud to be a member of the Edmonton Chamber of Commerce.